Shirley has a passion…it is people, real estate and community service. With those three principles in mind, Shirley joined Coldwell Banker. Shirley shares the same values that Coldwell Banker Residential Brokerage was founded upon…consumer advocacy and transactional excellence. It was a perfect fit. Shirley’s involvement with her community and the Hillsborough schools, educating her three children, has made her deeply aware of this remarkable place to live and work. From the beautiful old trees, inviting parks and recreation to the vibrant community life, Shirley knows and loves this place and especially its people. You need a REALTOR that has deep roots in the community; Shirley was awarded the “Certificate of Recognition” for outstanding community service from the California Legislative Assembly. Shirley is available to introduce you to the convenience, beauty and possibilities of the Bay Area. She is excited to share her passion with you. Through her knowledge, skill and diligence she can help make your dreams come true. Jack has been a California Real Estate Broker for over 40 years and has experience in real estate transactions ranging from land to residential to high rise commercial. He developed a 212 acre subdivision on the island of Kauai and at one time had over 300 agents under his license with offices up and down the California coast. He is a graduate of the United States Naval Academy and was a Captain of Marines and a Marine fighter pilot with 125 combat missions in the A4 Skyhawk. He also served as personal aide to Lt. General Lewis Walt, who was the Commanding General of all Marines in Vietnam. 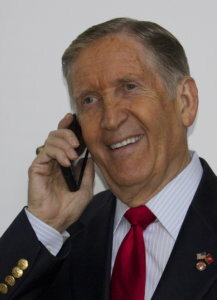 Jack was a pilot for TWA for 30 years and moved to the San Francisco Bay area from Southern California in the early 80s, where he established major real estate offices in San Francisco and Los Angeles for a British Chartered Surveyor firm which represented major British pension funds and corporations. The consummate professional, Jack has a reputation for honesty, integrity and competence and real estate has been his passion since 1969. He is a “people person” who believes that every transaction is about relationship and trust and that everyone deserves to be represented by the very best. You have a right to depend on professionals such as your doctor, dentist and attorney…why not your real estate broker?